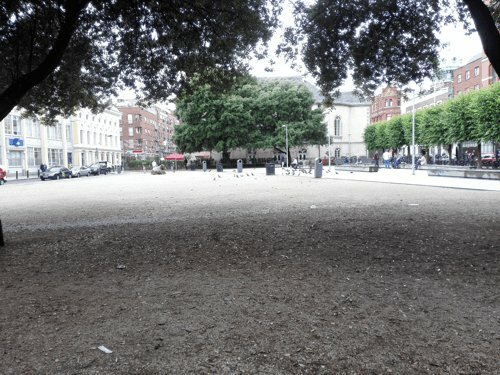 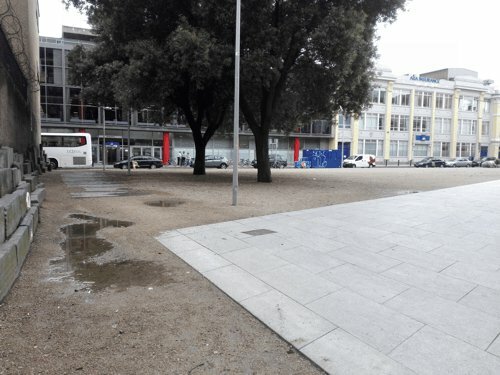 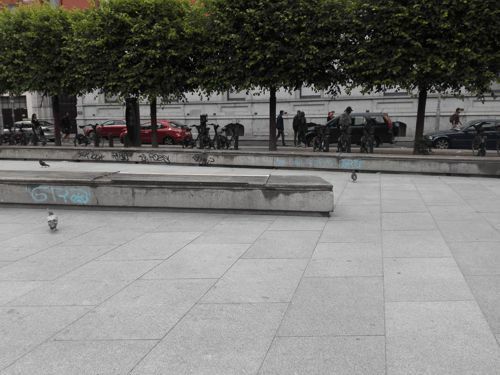 Dublin City Council (DCC) has removed all of the grass and old railings from around Wolfe Tone Park. 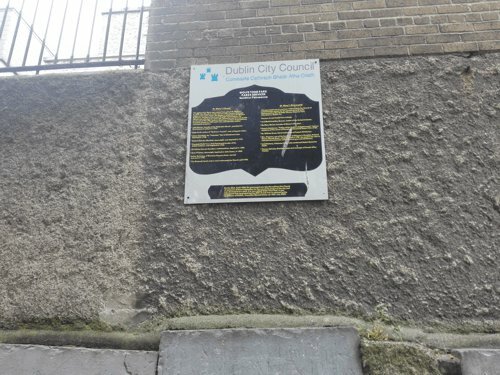 Most of the old headstones have been stacked against the south wall where they collect graffiti, litter and urine. 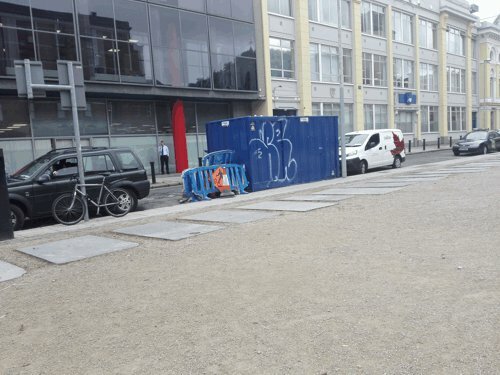 Other headstones/tombstones act as paving slabs for Dublin Council workers and event promoters to park their vehicles upon. 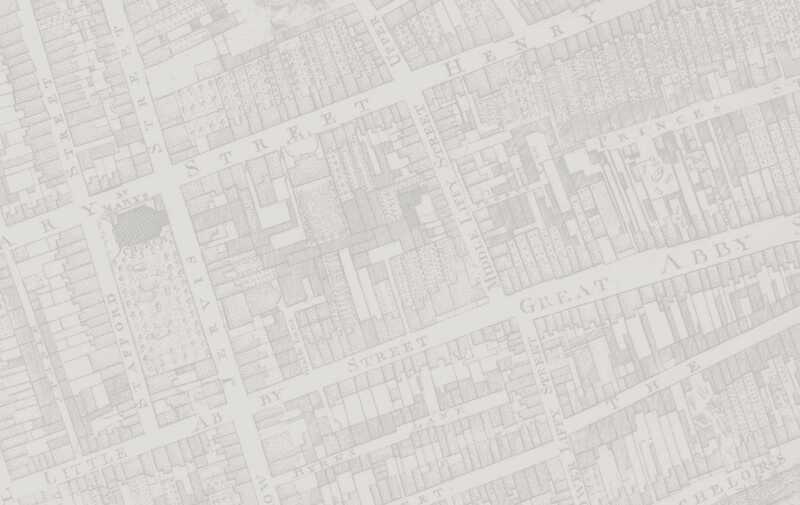 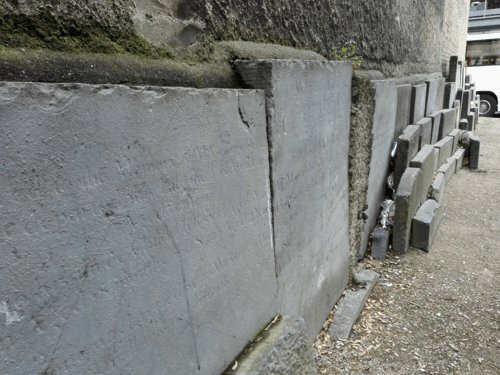 It is no surprise that these old tombstones are defaced and broken. 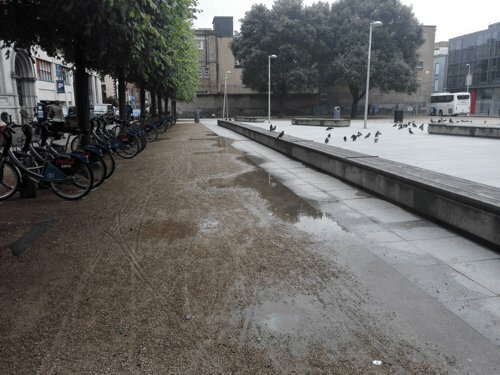 The concrete benches have been 'tagged' by vandals. 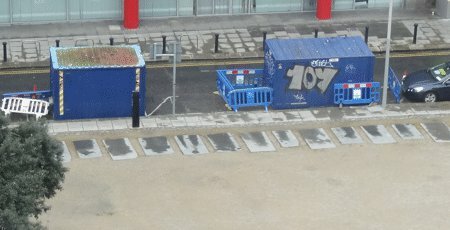 So too has the DCC construction container; a semi permanent feature that takes up a couple of car parking spaces - the remaining spaces snapped up early in the day by the non-paying council workers. 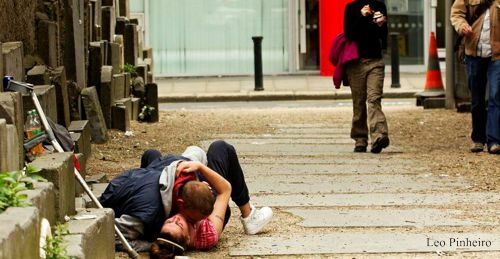 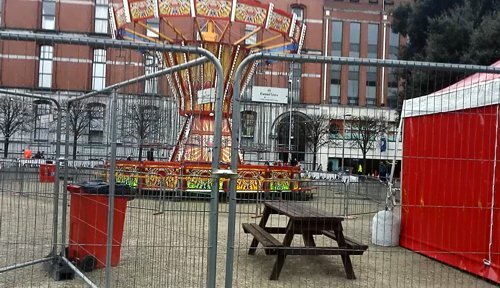 Dublin City Council grants permits allowing promoters to stage offensive musical, circus, and tacky carnival events in the park without any consideration for the residents living only 15m away. 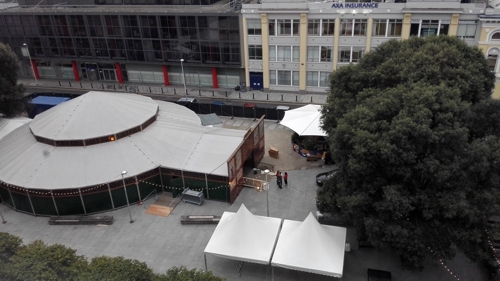 Who needs grass and a park when Dublin City Council can provide you with a skip and a view of the fence concealing the Dublin Fringe Festival Ltd Spiegeltent? 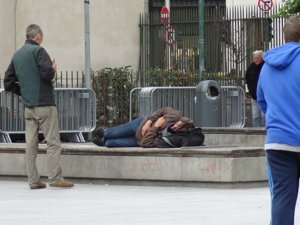 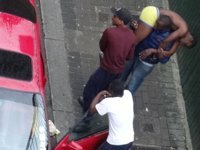 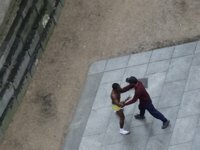 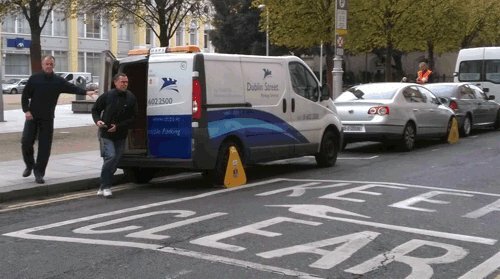 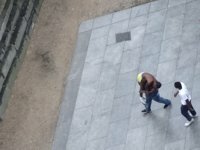 However, the park is popular with unsuspecting tourists, emergency vehicles, thugs and the lucrative Dublin City Council car clamping operation. 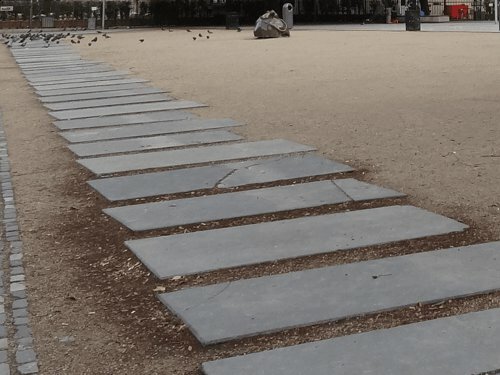 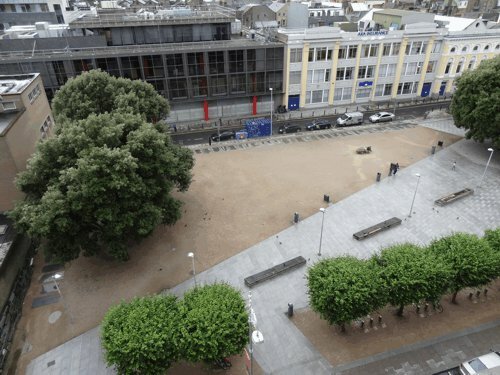 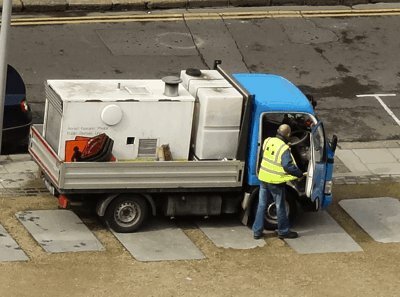 DCC and BID have demonstrated that they are unable to maintain Wolfe Tone Park. 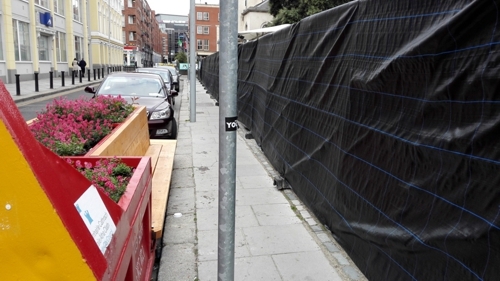 It is time for them to step out of the way as citizens, with no commercial interests, develop the space.